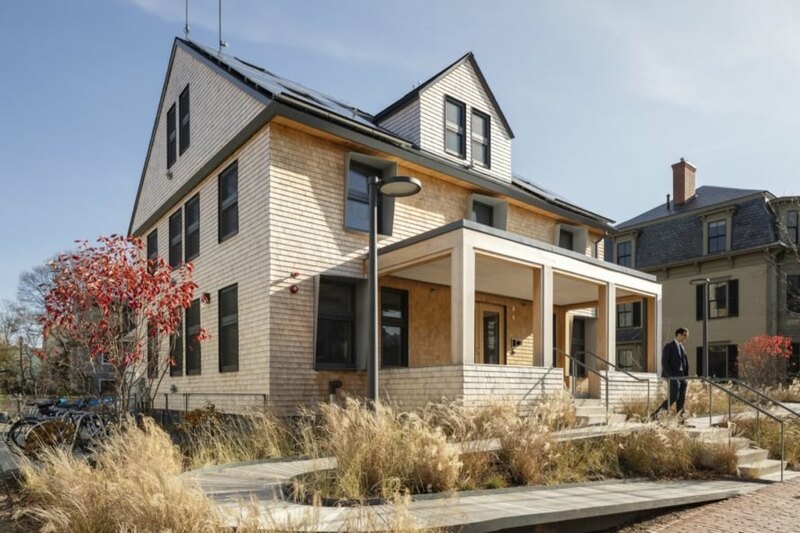 The Harvard Center for Green Buildings and Cities (CGBC) at the Harvard Graduate School of Design has just completed HouseZero, an energy-positive living lab for sustainable architecture. Designed by renowned architecture firm Snøhetta, along with Skanska Teknikk Norway, the groundbreaking building aims to produce more energy over its lifetime than it consumes. 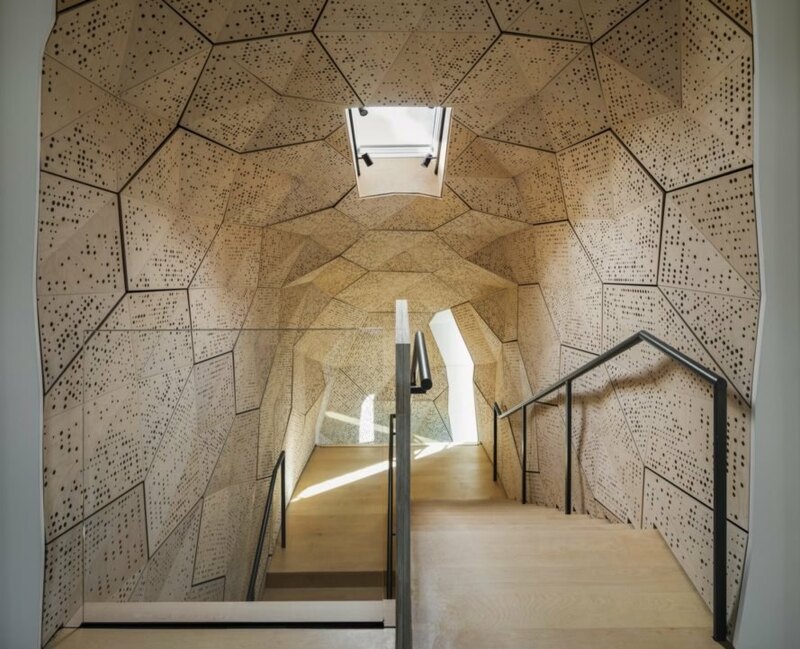 Hundreds of sensors are embedded inside of HouseZero to continually monitor energy performance and advance data-driven research to help produce more energy-efficient and sustainable architecture. 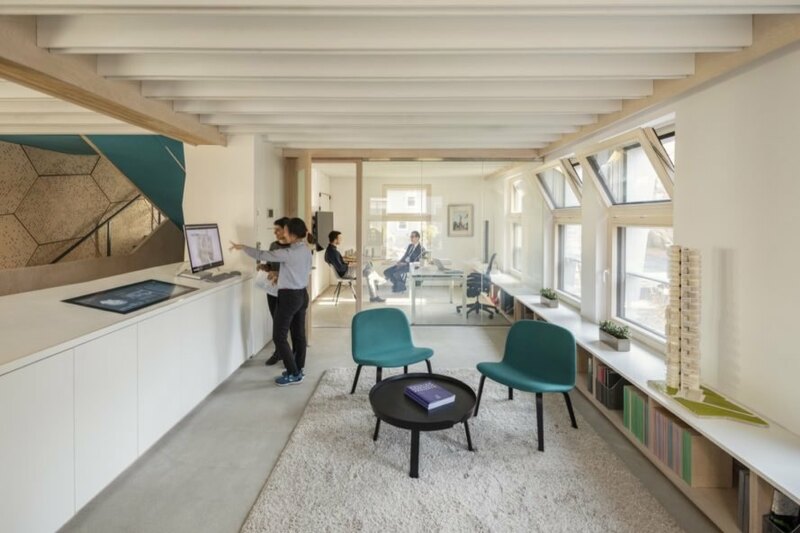 Billed as “an energy-positive prototype for ultra-efficiency,” the HouseZero living lab is set in a retrofitted pre-1940s house in Cambridge, Massachusetts. 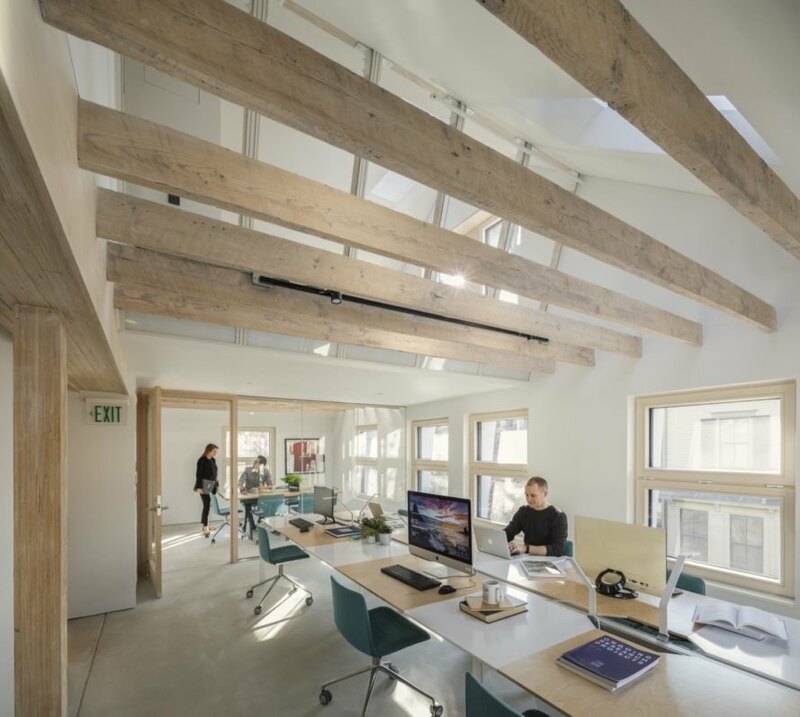 The renovated structure aims to meet near zero-energy targets for heating and cooling, use zero electric lighting during the day, produce zero carbon emissions and operate with 100 percent natural ventilation. The working prototype will serve as a research tool for understanding energy inefficiencies in existing buildings as a means to curb the current and future building stock’s impact on climate change while simultaneously helping property owners save on energy costs. A combination of low-tech and cutting-edge technologies is used in HouseZero to meet the ambitious energy targets. In addition to passive design strategies and operable windows, for instance, the building is equipped with a window actuation system that uses sensors and a computer system to automatically open and close windows. Using data collected over time, the building will “adjust itself constantly” throughout the seasons to create a healthy and thermally optimized environment year-round. HouseZero by CGBC is changing the game in green living as the home is filled with sensors. The Harvard home will act a lab collecting data from senors to help with the zero emissions goal. 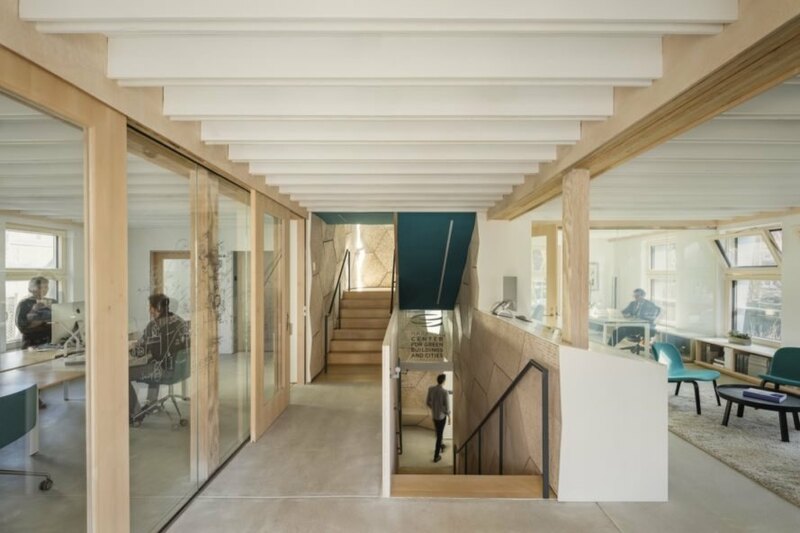 The Harvard Center for Green Buildings and Cities retrofitted its headquarters to HouseZero. The 1940s building in Cambridge is a living laboratory. The design for HouseZero is seen as an exciting milestone for green living. HouseZero is a first of its kind fata-driven laboratory aimed to understand new building possibilities. Almost no energy is required for heating and cooling the home. HouseZero runs on 100 percent natural ventilation. Ventilation for the home is enabled by triple-glazed windows operable by an automated system. 20 researchers and staff members are able to work from a fully functioning building. The building's LiveLab is hardwired to the building's energy exchange system. CGBC strongly believes that green buildings are the future for all homes.